Sébastien Léger recently launched his Temple Of Lions label and announced a 20 Years retrospective album project. With a more melodic, slower soundscape now being accepted within the scene, December 2014 is the ideal moment for him to launch his new Temple Of Lions label to feature the melody rich productions he has been creating and championing for many years. Taking its inspiration from an enlightening trip to Bali, the label will feature parts of Sébastien’s musical palette that have been waiting in the wings for the scene to move forward and develop in a more relaxed, open-minded way. 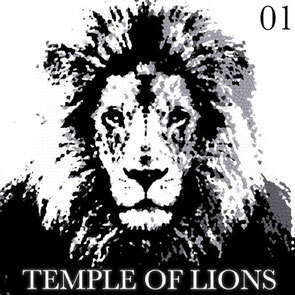 Temple Of Lions is about tracks you would play on the beach, or in intimate, underground clubs. By removing formulaic huge build-ups and drops from the equation, the label’s productions have the space for more musicality within their structure, further blurring the lines and divides between techno and house music. As his DJ sets have become longer (3-4hrs being the norm these days), there has also come more room for more stylistic experimentation and groovier, deeper starting points. So the label’s releases will be a signature part of his future musical direction, as he moves forward into his third exciting decade in the scene. January 2015 will see Sébastien mark the conclusion of his landmark “20 Years Of DJing” celebrations with a retrospective compilation album on his other, established label, Mistakes Music. The album tracks will be a selection of his favourites from the past two decades - ones that he thinks deserve to be known, discovered and revisited at this landmark point in his career. The selection process will reflect all his tastes over the years as a producer, providing a unique opportunity to hear his music in the context of when it was originally released. Sébastien Léger – Bali Deep / Elixir (Temple Of Lions) TOL01 will be released 1 December 2014, check it out below.